Exciting stuff! This weekend (as part of the EIFF Atmosphere programme), New Media Scotland are holding a HARRY POTTER MARATHON. And it's free! Starting at midnight on Saturday 30th June, they are showing all eight Harry Potter films, followed by a game of Quidditch on the Meadows the following lunchtime. You're encouraged to wear pyjamas in house colours and to have the most fun ever. You can join the waiting list on the Potterthon website if you are interested. Go because I can't, and I'm sad about it! This sounds like the BEST thing ever. Although 8 films one after the other? Isn't that going to take like 20 hours? Ish? Omg amazzzziinnggggg. My Hubby and I are obsessed. 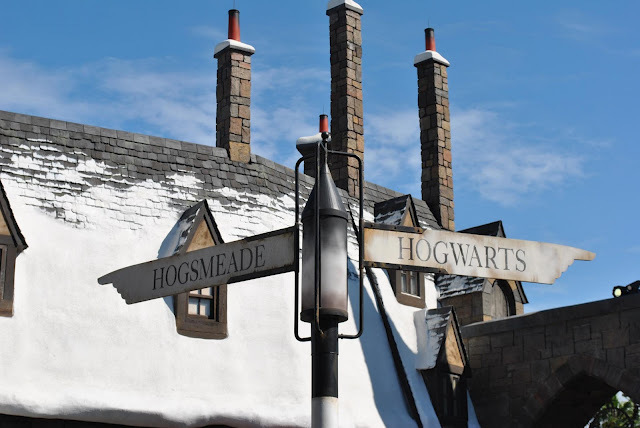 We went to the Wizarding World everyday for a few months and now that we live in Europe we are planning a trip to London!